The Broome Committee meets once a quarter to discuss relevant road safety issues in the Shire of Broome. Currently focused on many issues, such as, improving the safety of scooter riders, increasing the tolerance of motorits for riders and resolving parking issues associated with increased scooter traffic in Chinatown. Don't zoom in Broome - Enhanced speed limit enforcement and education combined with further community consultation of safe speed limits. School zone ehancement - Working with various agencies to improve road safety within school zones in Broome. Choose Your Ride - working with various stakeholders to reduce the incidence of drink driving in the district. Pictured above: Paul and Belinda McKenzie, of Broome, stop at the Driver Reviver station and get some tips from Broome Men’s “Shedder” John; Mark, Nicole and Flynn, Davis from Port Hedland enjoying a break from the long drive. Pictured above: Broome Senior High School students Derya Altintas and Abbie Ledgerwood give the Scooter Safety practical demonstration the thumbs up to Sgt Paul World (Broome Police), Regional Driving Assessor Alan Ingram, and Geoff Armitage (Department of Transport); Provisional Licence information distributed to high school participants. Pictured above: Broome Bubs – has my restraint been checked? 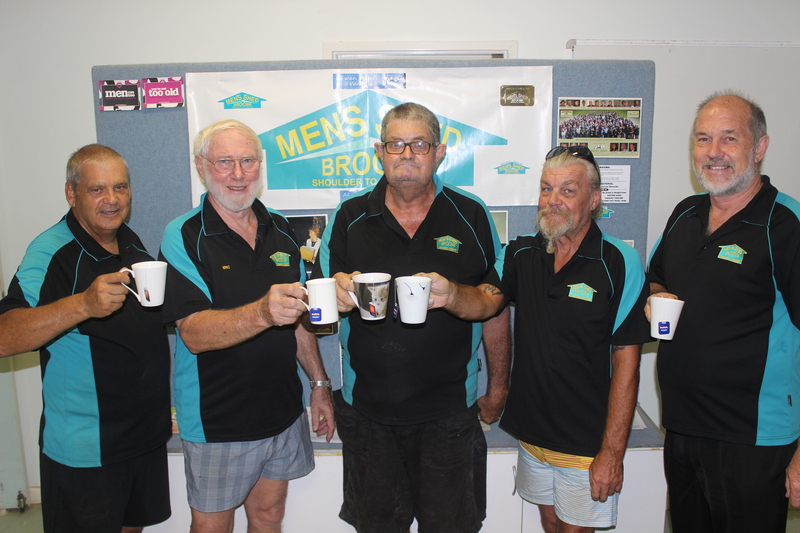 Pictured above: Broome Men’s Shed President Clive Johnson (left) leads a toast to the Driver Reviver Program with fellow members Eric Browne, John Parkes, Stan Beard and Chris Mitchell.